Dukakis won his party’s nomination for Governor in 1974 and beat Sargent decisively in November of that year. He inherited a record deficit and record high unemployment and is generally credited with digging Massachusetts out of one of its worst financial and economic crises in history. But the effort took its toll, and Dukakis was defeated in the Democratic primary in 1978 by Edward King. 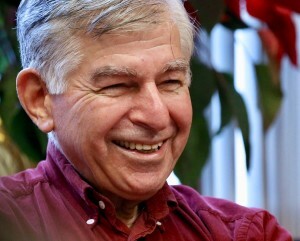 Dukakis came back to defeat King in 1982 and was reelected to an unprecedented third, four-year term in 1986 by one of the largest margins in history. In 1986, his colleagues in the National Governors’ Association voted him the most effective governor in the nation.